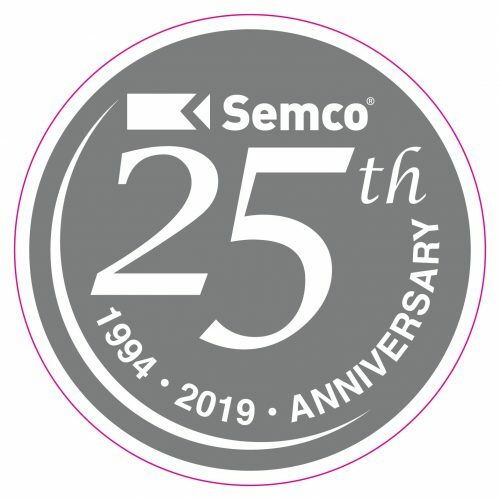 Semco has reached an important milestone by celebrating its 25th year in the earthmoving industry. In May 1994, when Peter Esse, Satch Santilli and Graham Murphy completed a management buyout of the Case Equipment Sydney retail operations, they didn’t foresee the huge year-on-year growth their new company would experience. Since then, the management team has worked tirelessly to realise the opportunity to grow from a single outlet operation to a national distributor. “Having the right philosophy was crucial for us”, said sales director Satch Santilli. “Our team focused on helping customers purchase the right gear for their business; supporting them with a high standard of workshop service, assisting with finance and ensuring quick access to spare parts. “One of our key strengths has been our loyal and highly skilled staff, without whom our position in the earthmoving market today would not have been possible. Staff retention is one of the highest in the industry, with almost half our Sydney head office employees being with us since the company was established. “We have also been very fortunate in attracting a great team of highly valued local suppliers and service providers who have made a significant contribution to our success. “In those early days, navigating the minefield of brand distribution agreements became a regular event, however over time, the company’s positive reputation translated to success, with major manufacturers seeking Semco as a key distributor. “We owe a huge part of our success to the loyal support of our satisfied customers who have not only come back to us for repeat business, but by their sincere recommendations and positive comments to their industry colleagues and associates, have become some of our best sales people. “Delivering maximum value, supplying strong equipment brands and supporting our customers has proven to be a winning formula. It’s this strong customer focus that is going to drive Semco forward to even greater heights over the next 25 years”, Satch said. The Semco range includes Takeuchi excavators and compact track loaders; Rokla Rockwheels, engcon tiltrotators, U.Emme attachments, Morooka track carriers, MB crushers, Toro Lawn Care, Toro trenchers, mini loaders, stump grinders and mowers, FAE mulchers and crushers, Fiori mobile concrete batchers and dumpers, Case IH agricultural machinery; New Holland agricultural and construction equipment; Hardi spray equipment and the Chicago Pneumatics CP Hammers range. Semco’s head office, main warehouse, parts and service centre is located at St Mary’s North in western Sydney. The company has its own capital city operations at Derrimut in Melbourne and Darra in Brisbane, with regional centres located in Queanbeyan, Goulburn and Newcastle. Nationally distributed brands are supported through dealership arrangements in regional Victoria, Tasmania, South Australia and Western Australia.